Pokemon Sun and Moon's new effects on Soul Dew which only works on Latios and Latias. Because of its power, its drop rate in the game has been lowered and the mechanics have changed. Soul Dew is an item that’s been banned in the previous versions. And for a good reason too. In the previous games, the Soul Dew is a held item that raises the Special Attack and Special Defense by 50%. However, this works only if equipped on Latias or Latios. And because of the large boost, official tournaments banned the item. If used any Rated Battle Areas (Battle Tower, Battle Frontier, Battle Subway, or Battle Maison), it will not take effect. 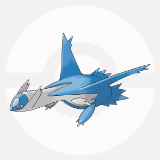 If you’re planning to get Soul Dew, the only way to get it is to capture either of the two: Latios or Latias. Unlike its previous versions, Pokémon Sun and Moon bent the rules a little. Now, any pokémon that’s holding Soul Dew can now join rated battles. And the real kicker is: the effect works now. Despite the allowing the item in Rated Battles, Pokémon Sun and Moon nerfed its effects greatly. Its initial effect was to multiply Sp. Def and Sp. Attack by 1.5. But because they allowed it, they now only boost Dragon-Type and Psychic-Type moves by 20%. With that, Latios and Latias wouldn’t be considered so invincible compared to the previous works.